Take the JR Narita Express to Shinjuku Station. From Shinjuku Station to Kami-suwa, by JR Chuo Main Line. 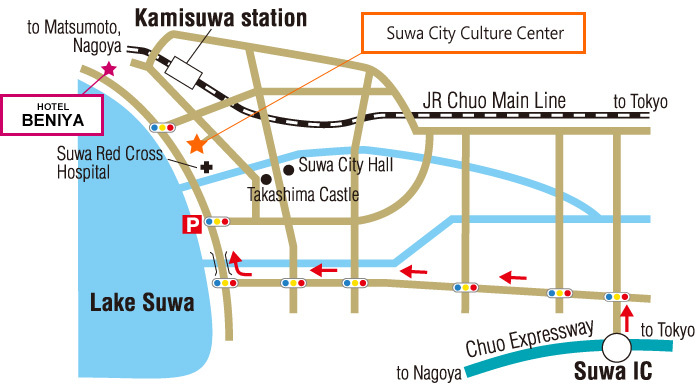 Take the Keikyu Line or Tokyo Monorail to Shinjuku Station.